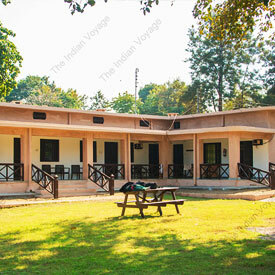 Question :– How does The Indian Voyage U/O GVVPL facilitate the bookings inside Forest rest houses and What all services are Included in the package? 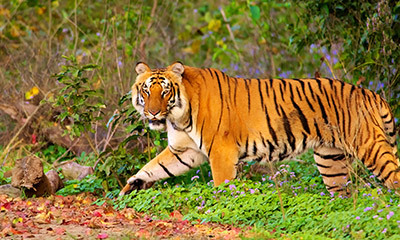 Answer :– The Indian Voyage is a speciality wildlife tour operator which Provides compiled services covering permits, vehicles, guides and all the government formalities. 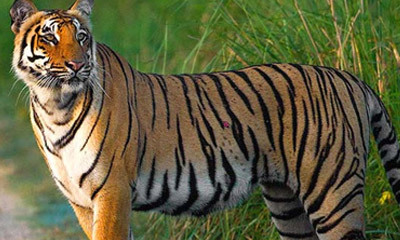 The Indian Voyage with its expertise tries to provide best of vehicles, drivers and other resources to enhance wildlife experience of its guests. Question :– I have booking in the resort in the periphery of national park. Can I Do jeep safari in the dhikala zone? 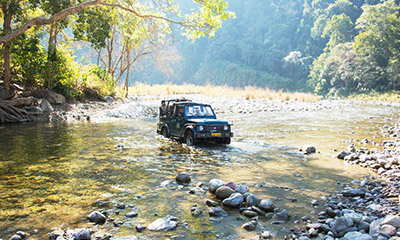 Answer :– Jeep safari in Dhikala zone of corbett can only be done if you have a permit for staying inside the national park in forest rest houses. If you are staying the resorts on the periphery of national park, then canter safari is the only option to explore dhikala zone. Question :– What are the meal options in Forest rest house? 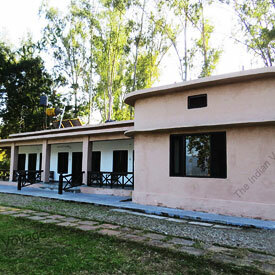 Answer :– Different forest rest houses inside corbett national park have different meal arrangements. Dhikala, Gairal and Bijrani being bigger rest houses have canteens which serve buffet meals. Dhikala Forest rest house has another canteen which serves ala-carte food menue but the options are limited. Smaller rest house like sarapduli, Malani, Sultan have kitchen facility where kitchen facility is provided and guests have to carry raw ration which can be cooked at the rest houses. Question :– What are the room categories and quality of rooms ? Answer :– Different forest rest houses have different rooms categories. 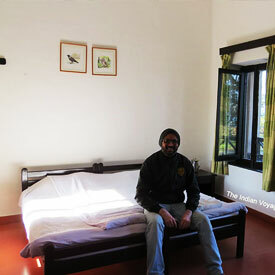 Rooms at dhikala forest rest house are divided into annexe, hutment, cabin, New FRH and Old FRH. Similarly gairal rest house have New FRH and OLD FRH rooms. Bijrani rest house has New FRH, Four bedded room and single bedded rooms. All the room categories inside the forest rest houses are basic and rooms of same category can differ from each other in terms of size, shape and location. Question :– Do we have to book the safari seperately if we have a valid permit for stay inside forest at forest rest houses? Answer :– If you are staying inside the forest rest houses, there is no need to book safaris seperately and safaris are a part of the package. There is a gypsy which acompanies you during your stay at forest rest house and facilitates the safaris. Question :– How to book elephant safari and what are the timings for elephant safari? Answer :– Elephant safaris can not be booked in advance and are to be booked only on arrival. 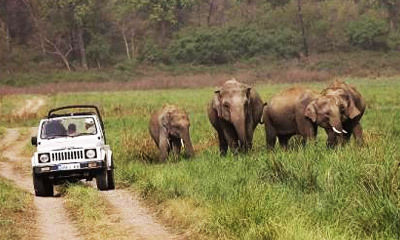 Elephant safari are booked only on first come first serve basis subject to availability of elephants. Elephants enjoy their day off after Monday morning safari for the rest of the day. Question :– What are the timings for safari if we are staying inside the forest rest house? Answer :– There are fixed safari timings for safaris if you are staying inside the national park and these safari timings change depending upon sunrise and sunset. Generaly in peak winters morning safari would start at 6:30 am and in peak summers the morning safari would start at 5:30 am. The duration of safaris is generalyy 4 hours. Similarly in afternoons in peak winters the safari would start at 01:30 pm and in peak summers the safari would start at 03:00 pm. 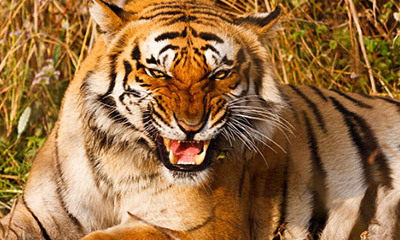 Question :– What is the distance between gairal or sarapduli from Dhikala and if I am staying in these rest houses, can I do safari in Dhikala? 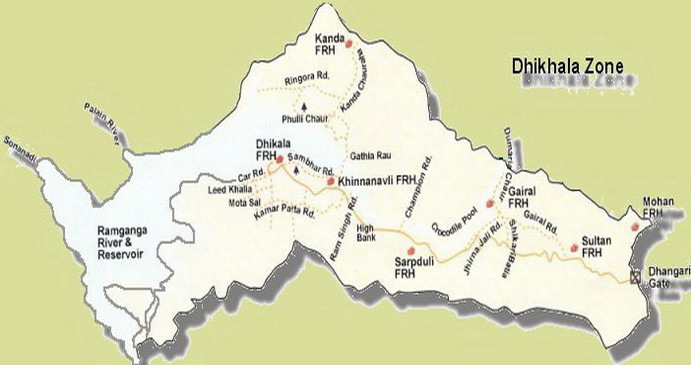 Answer :– Gairal is approximately 18 kms from dhikala forest rest house and sarapduli would be approximately 12 kms from Dhikala forest rest houses. 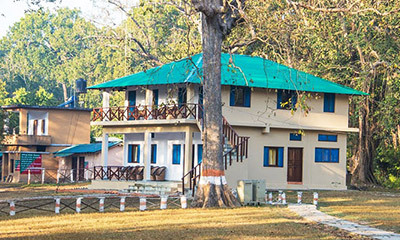 All these forest rest houses are in same tourism zone called Dhikala zone and tourists staying in any of the forest rest houses in dhikala zone can do safari in the same areas as tourist staying in dhikala forest rest house. Question :– Are there AC / TV in rooms ? Answer :– The rooms in dhikala forest rest house are basic and there are no AC’s or TV’s in the rooms. Most of the rest houses other than Dhikala forest rest house do not even have electricity and lamps are lit with the help of solar energy. Only tourists who wish to relish the raw nature should opt for the stay of forest rest houses and it is absolutely not recommended for people seeking luxury in the mid of forests. There are many resorts on the periphery of the forest which provide luxury stay with all facilities. Question :– Are these forest rest house safe for children and are there any activities for children ? Answer :– All the forest rest houses are covered with solar wire fencing for the safety of it’s tourists and these forest rest house are a great place to teach children about importance of ecosystems and balance required. As such there are no activities for children in the forest rest houses and we have observed that children tend to enjoy being in the mid of nature and lot of open spaces to roam around within the campus. Question :– Are there geaser in rooms or any provision of hot water ? Answer :– Since most of the rest houses do not have electricity so there are no hot water geasers in the rooms of rest houses other than dhikala. Dhikala forest rest house has geasers in the rooms. 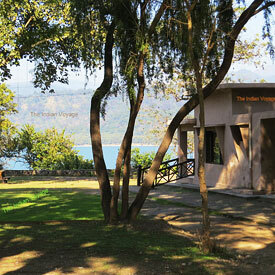 Other rest houses provide hot water through solar energy. Question :– Can Bonfire be organised in forest rest houses in winter season ? Answer :– Bonfires are strictly not allwed in the forest rest houses. Question :– Is Non Veg allowed in forest rest Houses ? Answer :– Non veg is not allwed inside the forest rest houses and all the meals served in the canteens are pure vegetarian. Though eggs are served occasionaly in the meals. Consumption of non veg inside the forest is a punishable offence. Question :– Can we carry Music system inside forest rest house ? Answer :– The forest is a silent zone and no music of any sort is allowed within the rest houses. Playing music within the forest is an offence and voilating the rules amy attract penalties. It is also expected from the visitors that they respect the forests and make sure that there is no noise pollution in the forest because of their presence. When we stay silent, we may observe that the forests have their own sounds and there is a different joy hearing these sounds, which by no means can be felt in cities.